Nipping at the heels of the Motorola XOOM, MSI (Micro-Star International) will be releasing their own Android Honeycomb tablet on June 1st. The 10.1-inch touchscreen tablet will include an NVIDIA Tegra 2 processor, but will bear a competitive sticker price of only US$399. The WindPad 100A is poised to be a true price-competitor for the Apple iPad, which starts at $549. Unfortunately, we don't know if the $399 price-tag is for a subsidized or unsubsidized rate. Considering the Motorola XOOM's $800 price-tag, a cheaper Honeycomb alternative might be a welcome sight indeed. 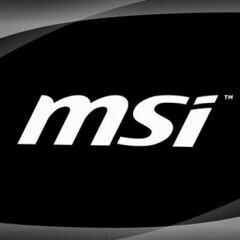 MSI is hoping to attract business users with the WindPad 100A, as well as two Windows 7 versions. "If you like the Mac OS, you'd choose the iPad, but if you prefer Windows 7 or Android, you'd choose ours," said Luc Liao, MSI marketing manager. That's a bold statement considering the burgeoning field of Android tablet competitors. The Windows 7 and Android versions will supposedly only differ in their operating systems and processors. One Windows 7 tablet will be equipped with an Intel Atom processor, and cost $549. The second Windows 7 tablet will run on the AMD Brazos processor, but pricing hasn't yet been announced. Battery life will also differ, with the Android version getting an approximate 8 hours of life, and the Windows 7 tablets getting 6 hours.